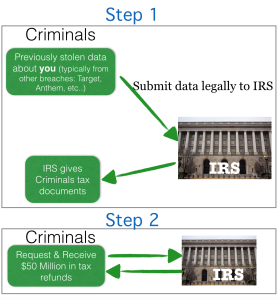 This week there was a lot of media attention on how Criminals accessed over a 100,000 U.S. Citizen tax returns, and then used this in a successful attack to file requests for tax refunds totaling over $50,000,000. If you were a victim of this, please immediately begin working with the iRS to secure your tax returns (you can activate a two-factor type authentication to prevent these attacks in the future). 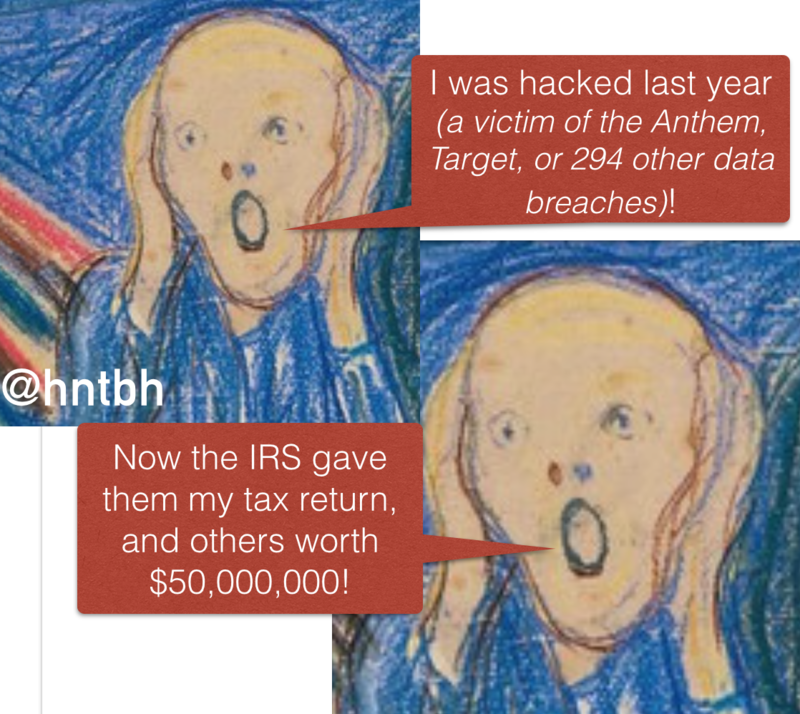 It is important to know – the IRS WAS NOT HACKED. The criminals used data gathered from other data breaches and public information to trick the IRS system into thinking they were you. This is a principle raised in the book, once your data is breached it is ALWAYS breached. So, 12 months of monitoring or short term protection won’t suffice. If you have the book (release is first weeks of June!!! ), please visit the last two chapters that cover recovery. These will give you great protections and assurances. *Credits to Van Gogh for the image, and Privacy Rights for the stats on last year’s data breaches. Tags: 2015, attack, author, book, breach, coreidservices, credit monitoring, fix, government, hack, help, irs, recovery, refunds, remediation, reputation.com, tax returns, tip.